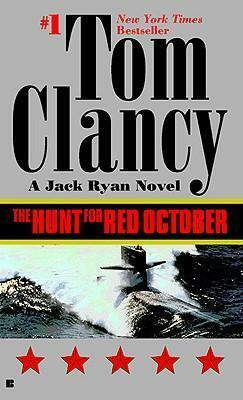 Here is the runaway bestseller that launched Tom Clancy's phenomenal career. A military thriller so gripping in its action and so convincing in its accuracy that the author was rumored to have been debriefed by the White House. Its theme: the greatest espionage coup in history. Its story: the chase for a top secret Russian missile sub. Lauded by the Washington Post as "breathlessly exciting." The Hunt for Red October remains a masterpiece of military fiction by one of the world's most popular authors, a man whose shockingly realistic scenarios continue to hold us in thrall.